In September 2015 the world agreed to adopt one of the most ambitious set of targets towards sustainable development. These are the Sustainable Development Goals (SDGs). These objectives shape the global development agenda for the next 15 years. Business and Industry is expected to play a key role in delivering on these challenges. As the UN has called on the world’s business community to play its full role in helping to achieve the SDGs, we must now all ask ourselves if we are ready for the task ahead. We all want to use business as a force for good. Yet, how can we do this without undermining profitability and growth? Product innovation and adoption of new technologies are two proven methods to be a force for good. Both of these activities help to drive operational efficiency while also meeting your profitability goals. New technologies which help your business become resource efficient can both create a competitive cost advantage and further reinforce your focus on sustainability at the same time. Chosen wisely, these investments can be profitable and win over the hearts of your customers. A true win-win. At Winnow’s latest event, “The Future of Food, Tech and Sustainability,” leaders from the food, hospitality and technology sectors met to discuss the trends shaping the sustainability agenda in the hospitality industry. One of the main trends they believe will influence the food and hospitality sectors in years to come is the rise of conscious consumers. Hospitality businesses will need to find ways to operate responsibly in their own operations and all over the supply chain. Doing so is not only the way to win your customers hearts but is also an imperative for your competitiveness. Adopting new technologies can help you make this shift quicker. It will sustain the cost saving benefits in reduced food, labour, and energy costs over the long term. One of the most relevant SDGs to hospitality is the commitment to reduce per capita food waste by half at the retail and consumer level by 2030. This is possible but will require a broad scale culture change and better tools to minimise food waste in your business. The good news is that there are a growing number of businesses that are building products to help you solve this problem. Bio-bean turns waste coffee grounds into bio-diesel. They collect thousands of tonnes of waste coffee grounds produced by coffee factories, coffee shops and offices. BlueCart is a simple ordering tool built to strengthen the relationship between restaurant and suppliers. The app tracks all the product spend and order history. The data provided help make better ordering decisions and makes it easy to plan future purchases. Gousto provides the precise ingredient portions needed for the number of people you are cooking for. This way customers will not face the problem of having purchased too much food. Their food products are sourced from local British farms. As companies like Guosto transform the way we eat at home, foodservice companies should be asking how we drive similar innovation for out of home consumption. Gram is the manufacturer of energy efficient commercial refrigeration. They offer professional food service operators a combination of exceptional profitability with clear sustainability benefits. Winnow's smart meter measures the amount and type of food a commercial kitchen is throwing away. 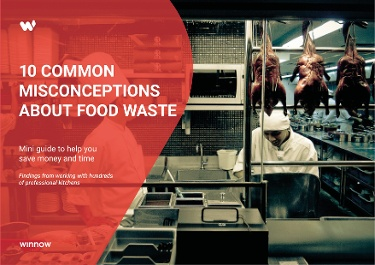 The system helps chefs cut food waste in half, save money and reduce their environmental footprint at the same time. Many leading catering, restaurants and other big kitchens are using technologies to cut food waste. It helps them reduce costs and improve their position around sustainability for their consumers. Are you ready to put your professional kitchen towards a sustainable path? Keep up to date with insights from across the sector. 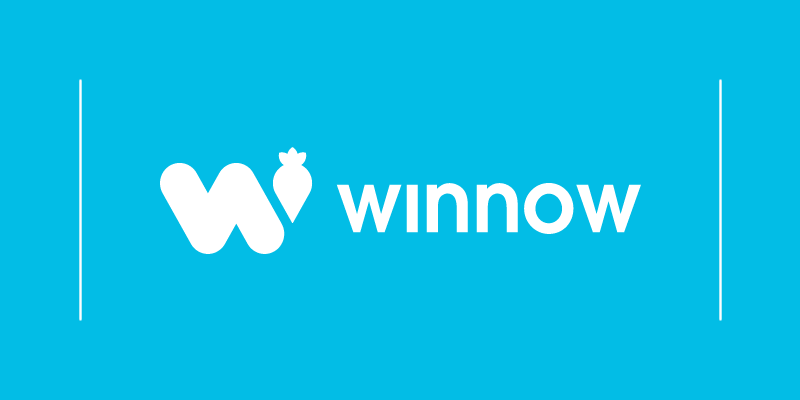 Sign up to the Winnow blog and follow us on Twitter and LinkedIn.